On 16 March, the Chancellor delivered his first Budget of 2016. In the lead up to the 2016 Budget there were a number of potential measures which many small business owners may have been hoping for, including an accelerated reduction in corporation tax rates, another freeze on fuel duty, a check on Entrepreneurs’ Relief and a simplified tax system. Other changes that may have been on small business owners’ Budget 2016 wish list were a revision to the planned dividend tax increases and a reform of business rates. 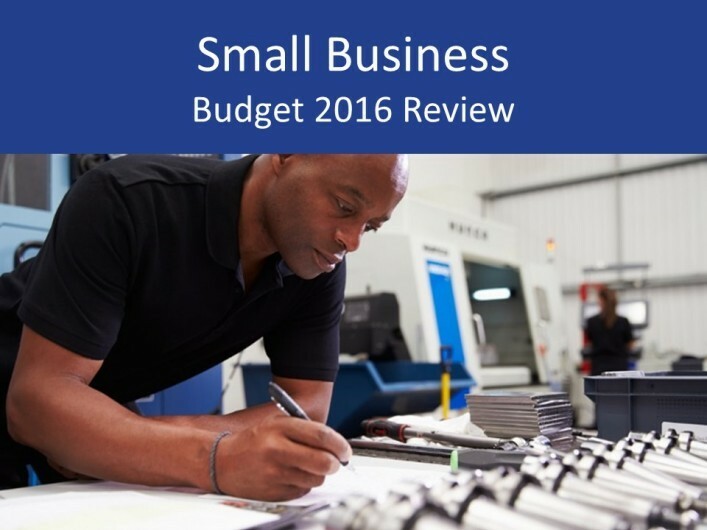 In this small business 2016 Budget review we summarise the key points and developments arising from the 2016 Budget and focus specifically on what the changes may mean for the small business sector. The Chancellor announced a progressive approach to business rates, with the business rate relief for small businesses more than doubling from £6,000 to £15,000. This increase to the annual limit will exempt thousands of small businesses, with 250,000 businesses paying less in business rates. 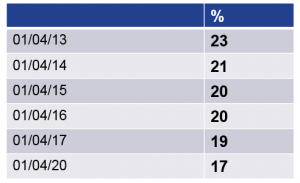 Sage data shows that, prior to the 2016 Budget, more than one in three UK small businesses said that reforming business rates would have the biggest impact in transforming their business. This is a big boost for small businesses and particularly for retailers, who argue that, in the digital age, those who have bigger physical presences (than those with big online presences) are taxed unfairly and uncompetitively. The fuel duty freeze will be extended for another year, taking it to 6 years at the current rate at the end of 2016/17. This is good news for both drivers and small business owners and will be welcomed across the country. The freezing of fuel duty will particularly those who use vans or who take delivery of goods (e.g. retailers and hospitality firms) where using large amounts of fuels is unavoidable. As an example, the Chancellor announced that this would see a saving of an average of £270 for small business with a van. One of the big hopes for many entrepreneurs on their small business 2016 Budget wish list would have been a revision to the planned dividend tax increase that is due to come into force from 6 April 2016. The planned dividend changes will put even greater financial pressure on small business owners, with many coining the new rules a tax on success. Over the coming weeks we will have ongoing analysis of the impact the 2016 Budget will have on the small business sector. To keep up-to-date with that news, as well as all other developments in the sector, please sign-up for our specialist small business newsletter.